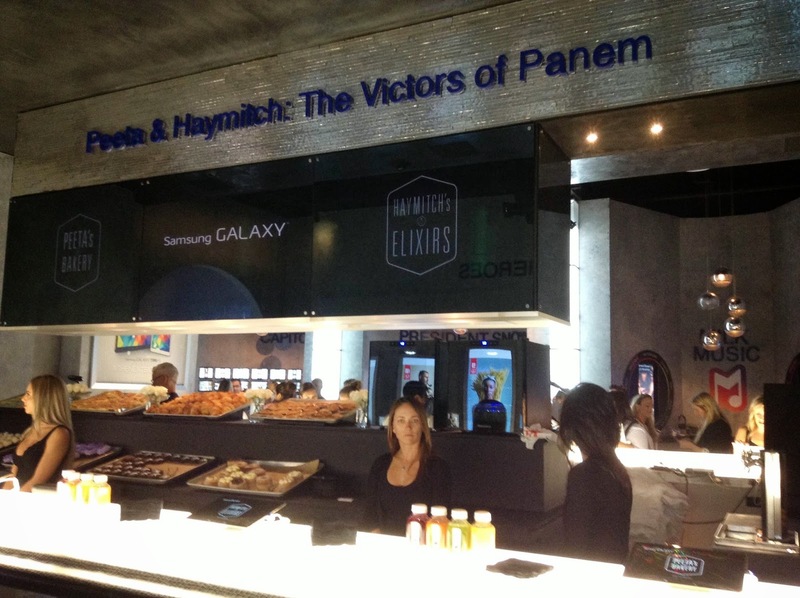 Welcome to District 12: Comic-Con 2014: Samsung Experience + Trailer Reaction! 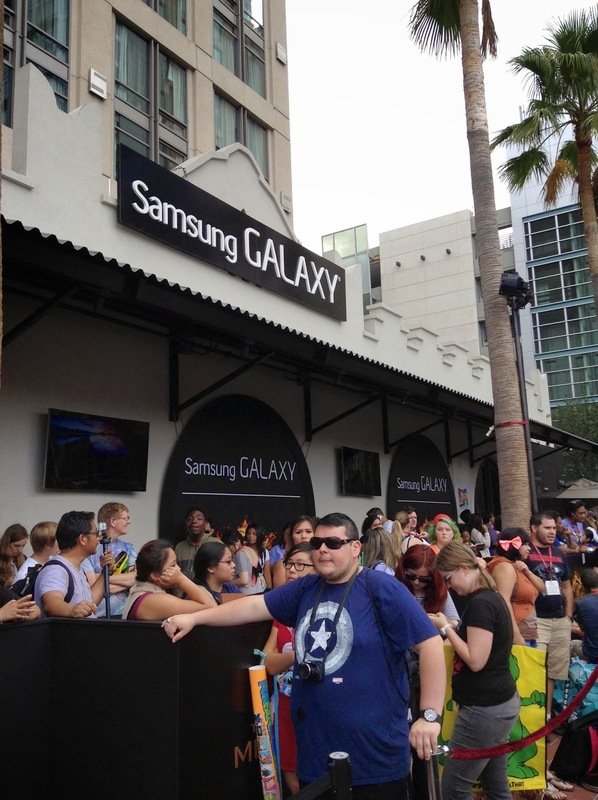 Comic-Con 2014: Samsung Experience + Trailer Reaction! The line for the experience has been going around the corner every day so far, so get there EARLY! 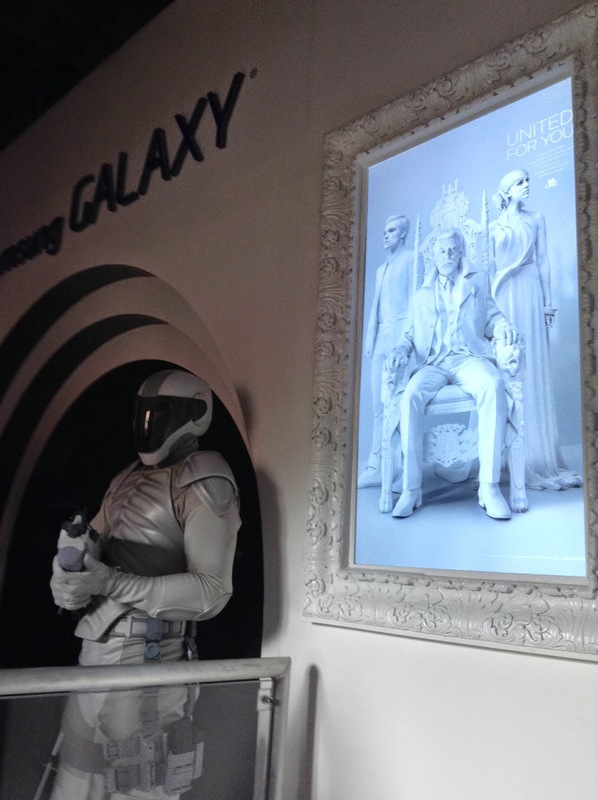 Comic-Con is almost over, BUT THERE IS STILL TIME to enjoy all the bells and whistles of Lionsgate's presentation of Mockingjay Part 1 at Comic-Con. 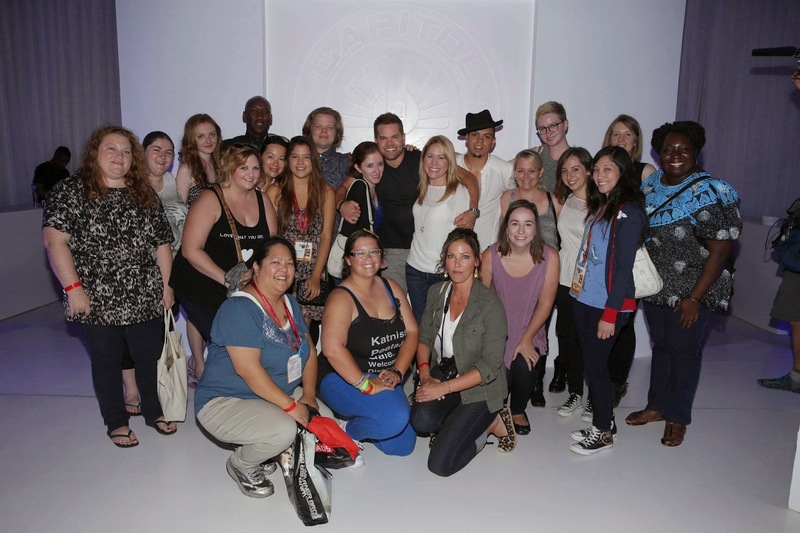 Before the big event on Friday, we got a special opportunity to have a meet and greet with some of the cast members from Mockingjay Part 1! 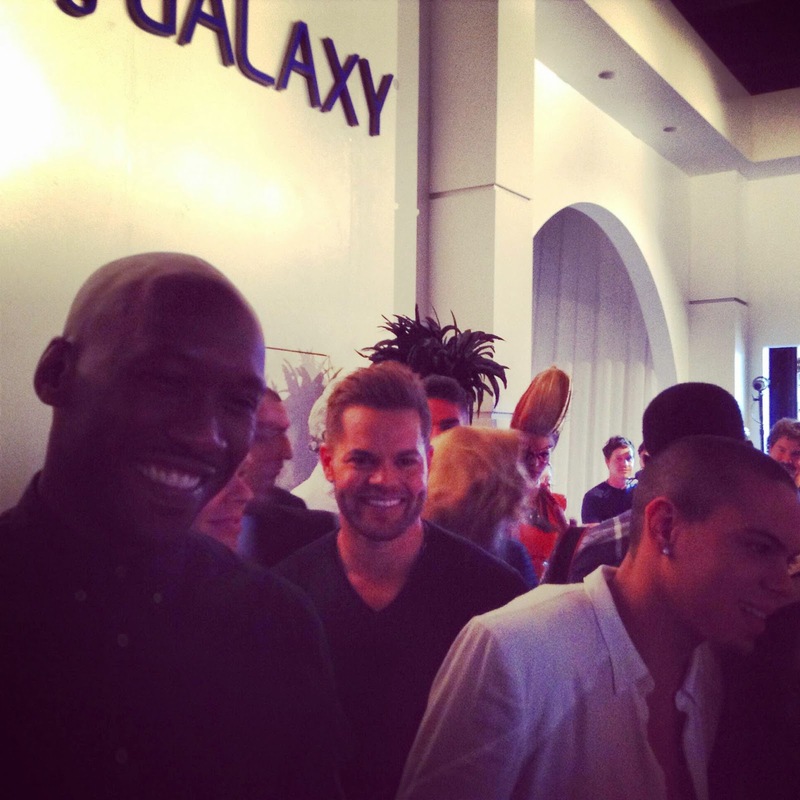 This included: Mahershala Ali (Boggs), Elden Henson (Pollux), Wes Chatham (Castor), and Evan Ross (Messalla). All four were quite easy to talk to, but I have to say that Wes was pretty hilarious and just really stoked about the fan reaction to The Hunger Games in general. 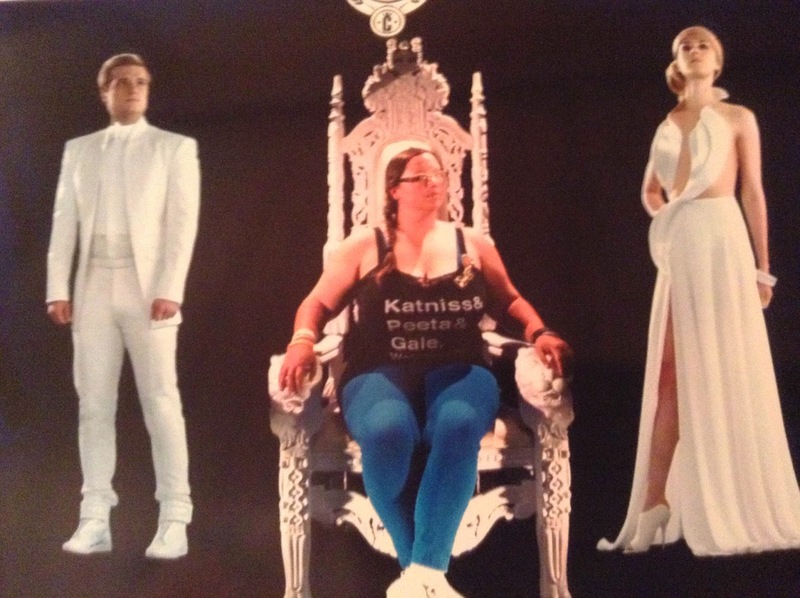 Get your holographic photo with Peeta and Johanna. but when you sit down, look up. 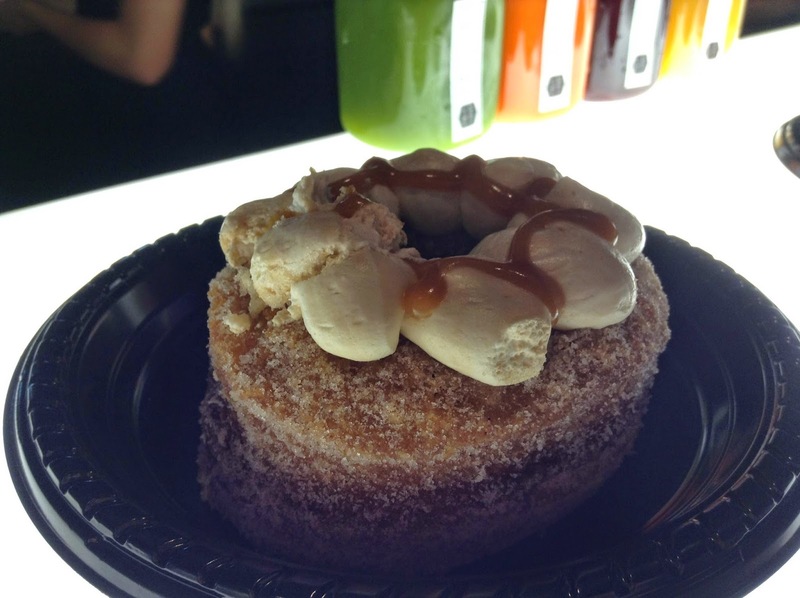 For example, a Capitol Cronut! 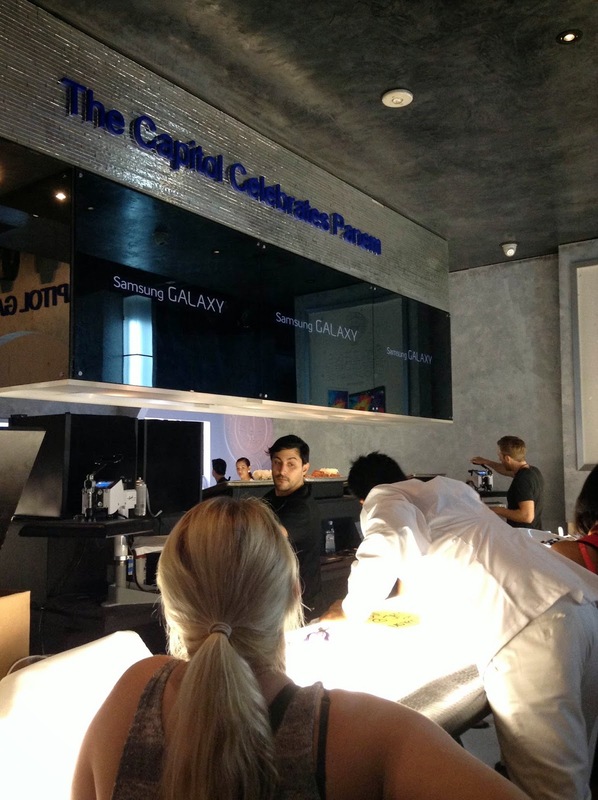 Opposite the counter lies the T-Shirt design center. Get a free shirt with your district on it! 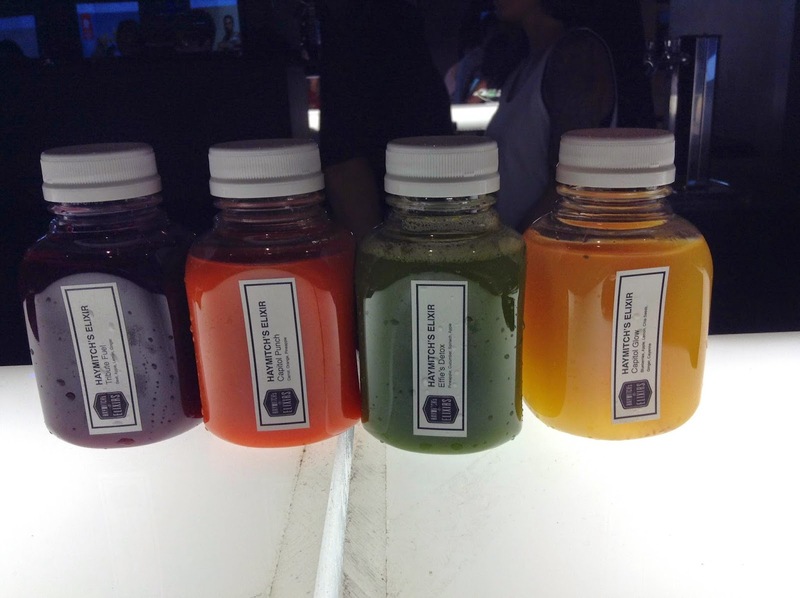 These are just a few of the activities you can do at the experience. I've seen lines around the block the whole con, so make sure you get in line ASAP if you have not done so already! Natalie Dormer! CRESSIDA! MARGAERY TYRELL!! 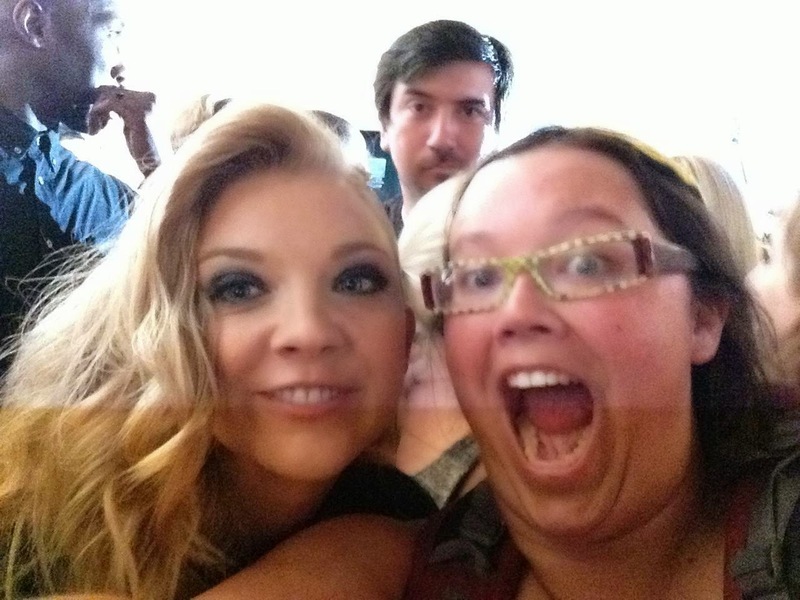 Epic photo with Natalie Dormer with epic photobomb guy IS EPIC. Some may disagree with me, but I don't like to see too many things from a movie in a trailer. The less I see the better, but as long as we've been waiting for a trailer I definitely wanted to feel satisfied after viewing it. I believe it comes in at just over a minute, which I think is a very appropriate length for a "teaser". I don't want to give it all away, but there are just some phenomenal shots chosen for the teaser. It was all I could do to not audibly freak out over my absolute favorite scene in the book being shown. It's a pivotal moment for Katniss' character and I think when you see it, you'll know exactly what I am referring to. All in all, I felt genuine emotion after viewing the teaser and I think fans will be leaving Best Buy very satisfied without having seen too much. As for when the trailer hits the web, the release should be imminent, but of course no official time as of right now. 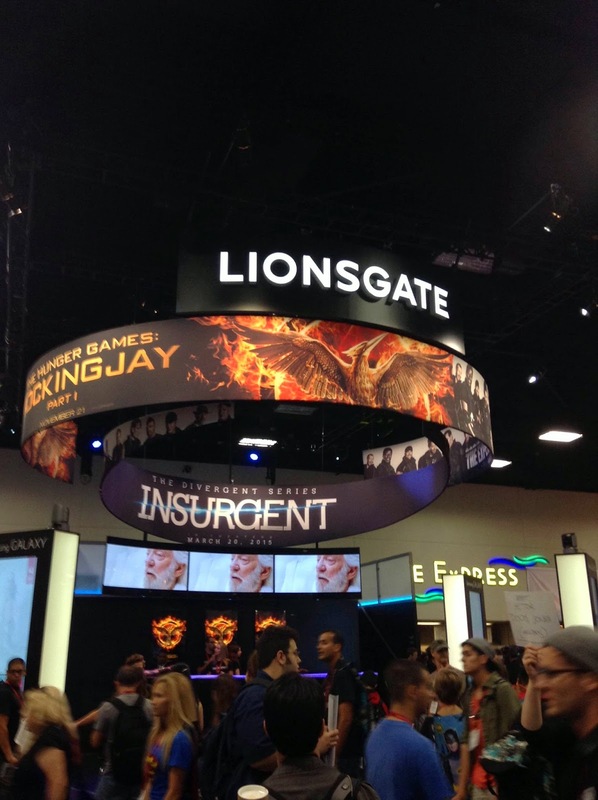 Lionsgate's booth is a little more compact this year, but I think the design and function of it is very superior to last year. 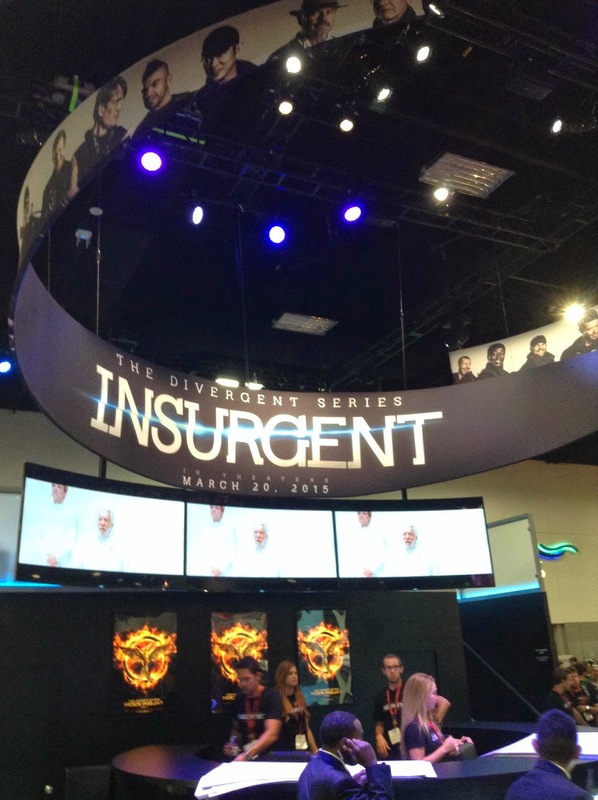 It is definitely more open and clear as to what they are promoting when they are promoting due to their changing banner above the booth. Expect free posters from time to time, but as mentioned before there will be no Mockingjay pins on the floor this year. 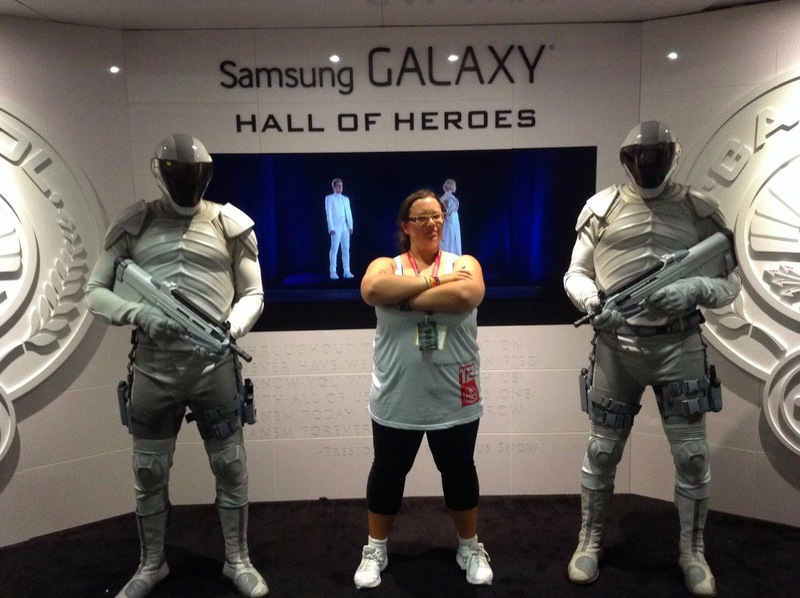 On the upside, you can totally have a photo op with a Peacekeeper behind the booth! 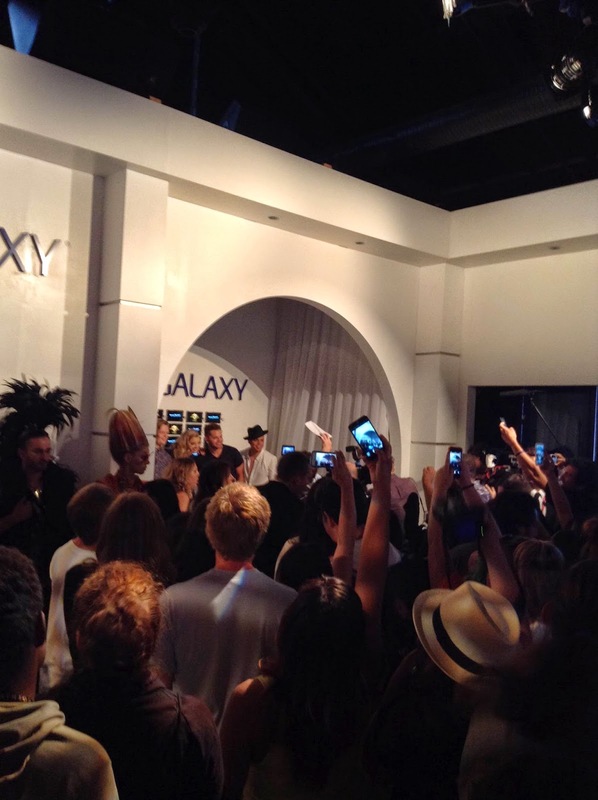 For those still going to Comic-Con on Sunday -- Don't forget to hit up the Samsung Galaxy Experience at The Hard Rock Hotel!! It is so worth it!